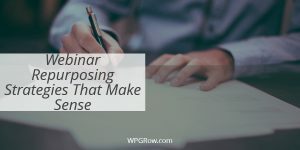 If you want to earn top dollar for your coaching programs, it’s clear you’ll first have to become the go-to expert in your niche. You’re likely already working toward that goal, and probably have been for some time, but if you’re not quite there yet, here’s how to jumpstart your career. Content Creation. This is by far the most important thing you can do to grow your audience and your credibility. 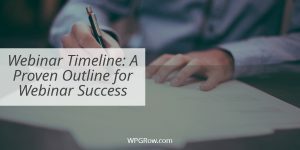 Blog posts, podcasts, ebooks, and self-paced training programs—whether free or paid—are the building blocks of your empire, and if you want to earn top dollar, you first have to put in the work to create a solid foundation. Video. This is where a lot of people struggle. Maybe you hate the sound of your voice or you hate how you look on video. You’ll need to get over it. Your potential clients need to get to know you better before they shell out $5,000 or $10,000 for that group-coaching program you’re putting together, and video is the easiest way for them to do that. So get a makeover, hire a video coach, and start sharing what you know on YouTube and other video channels. Write a Book. The big daddy of content, a real, physical book can skyrocket your credibility and pave the way for the rest of your coaching career. Now, we’re not talking about Kindle books here (although they do have their place in your overall content plans). No, for this, you want to publish a printed book—and if you can attract the attention of a publishing house rather than going the self-publishing route, that lends more credibility. Speaking. Nothing says “I’m an expert” quite like getting to take to the stage and speak in front of a group. Chances are your expert status has already attracted the attention of event organizers and you’ve been asked to speak. If you have, and have turned down the opportunity, now is the time to boost up your confidence and make the leap. If you haven’t, then go out and actively seek opportunities that are a good fit. Don’t be afraid to start small—at your local Chamber of Commerce or a recurring MeetUp group—but keep an eye on the big stage, too, and be open for the chance to wow a crowd with your expertise. Host a Live Event. Want to really blow your audience away with your coaching and business skills? 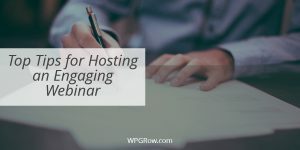 Plan and host a live event. It doesn’t have to be huge—in fact a small, intimate venue is often the best choice—but do start making plans. Live event hosts are often viewed as the real movers and shakers in their industries (because they are). Remember, too, no matter which credibility-boosting method you’re using, it will only work if people know about it. So don’t just start a podcast, market it. Don’t step onto a stage of any size without shouting about it to the rooftops, and never ever write a book without a big launch. Credibility and visibility go hand in hand, so do everything you can to get the word out about your achievements.